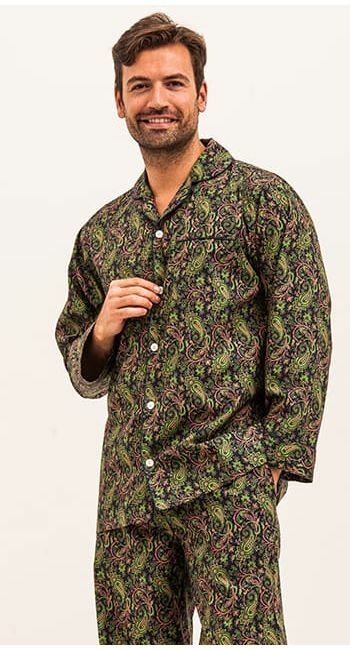 After the success of our first men's paisley pyjamas, we couldn't stop there, so we've been a bit more adventurous and have launched a stunning green pair to go alongside our more subtle midnight blue design. 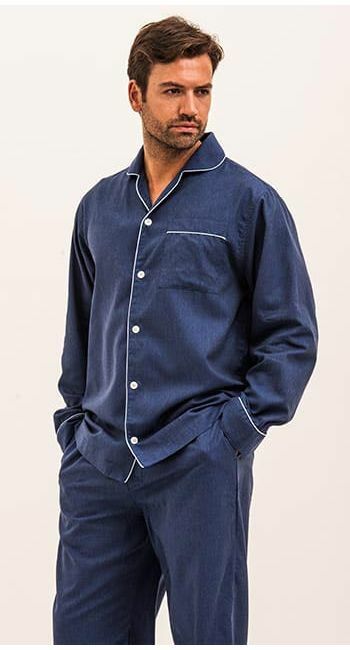 These are finished with navy blue piping and real shell buttons. 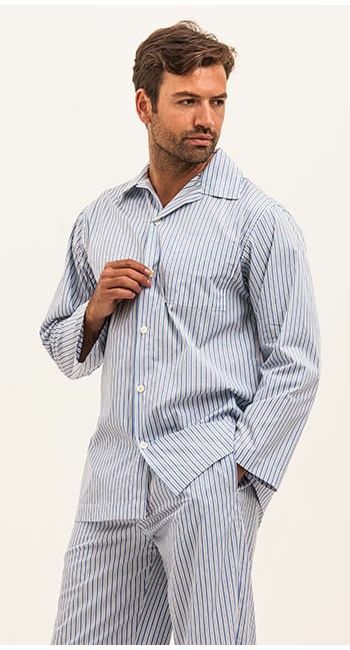 Made in Britain like all of our nightwear.